Lauren & Tyler were set up on a blind date by mutual friends & the rest is history! I asked Tyler during their engagement session when he knew he wanted to marry Lauren, & he said he realized how much he didn’t want to do life without her the first time she was out of town on a trip while they were dating! How sweet is that?! Tyler proposed to Lauren while they were on a ski trip with friends & family in Colorado around New Year’s. They were taking pictures in a beautiful park covered in snow & decorated with Christmas lights (seriously sounds like a Hallmark movie right?!) when Tyler dropped to one knee! Everyone around them clapped & celebrated with them! Where do I even begin with these two?! I can’t believe I get the honor of capturing this season for Ashley & Dakota. I’ve known both of them since college, & getting to watch their story unfold over the past year has been so beautiful! I first met Dakota during our freshman year at Mississippi College, & he quickly became one of my dearest friends. Ashley actually worked with me when I was a residence hall director the year after I graduated, & it was SUCH a blessing to get to know her & her amazing heart! Fast forward to about a year ago when Dakota told me he had asked Ashley out on a date & my heart exploded!! It’s been such a joy to see their relationship grow over the past year & get to freak out with Dakota when he told my twin sister & I that he had bought a ring & would be proposing soon!! 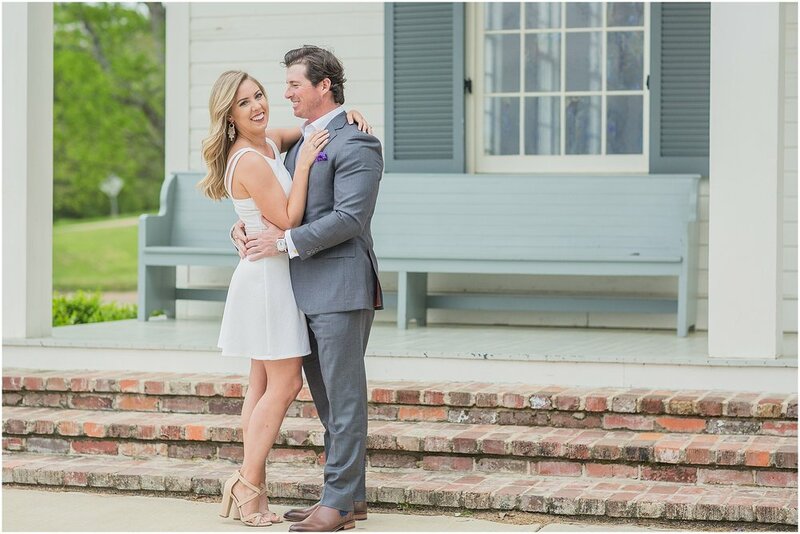 Peyton & Aaron met while working at the same hospital in their town! They both spend their days serving others which says so much about who they are. They love to hike, so it only made sense that Aaron would propose while they were on a hiking trip in north Mississippi! Peyton was standing on top of a rock to take a photo of the view, & when she turned around, Aaron was down on one knee!! I just love Peyton & Aaron’s story & was so excited to finally get them in front of my camera for their engagement session last week! I am SO honored to be capturing this season for these two!! I was so excited when Sam reached out to me months ago saying that he would be proposing to Lauren soon but wanted to go ahead book me as their wedding photographer because he knew how much she loved my work!! I was blown away by his thoughtfulness for his bride & the way he was so focused on making sure every detail of their day would be perfect for her. I can’t believe I’m sharing my final engagement session of the year!! I have loved getting to capture some of my 2019 couples this year & am so excited that I got to end the year with Emily & Wesley’s engagement session! We had so much fun exploring Emily’s childhood neighborhood & capturing some of the sweetest moments between these two. Emily & Wesley met on a medical mission trip during their first year of med school together! How amazing is that? !